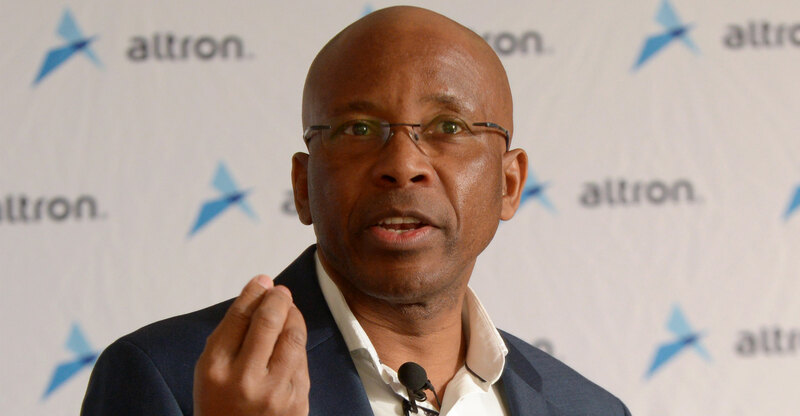 Altron’s turnaround under CEO Mteto Nyati is gathering a head of steam. The JSE-listed technology group said on Tuesday that it expects headline earnings from continuing operations to surge by as much as 52% in the six months ended 31 August 2018. In a statement to shareholders, Altron said most of the group’s operations reported a strong performance in the half-year period, with several producing Ebitda growth of over 20%. Ebitda, or earnings before interest, tax, depreciation and amortisation, is a measure of operational performance. Group revenue from continuing operations is expected to increase by between 42% and 46% over last year’s number, while Ebitda will likely increase by between 24% and 28%, it said. Headline earnings will rise by between 45% and 52%. On a normalised basis, the continuing operations’ revenue is expected to increase by between 41% and 45%, and Ebitda by between 14% and 18%. Normalised headline earnings are expected to increase by between 22% to 28%. During the half year, Altron concluded the disposal of Powertech Transformers, which was the largest of its legacy industrial assets held for sale. Agreement has also been reached to sell Altech UEC, the last non-core control asset, it said. This agreement is subject to Competition Commission and other approvals. The final conditions are expected to be concluded by November.